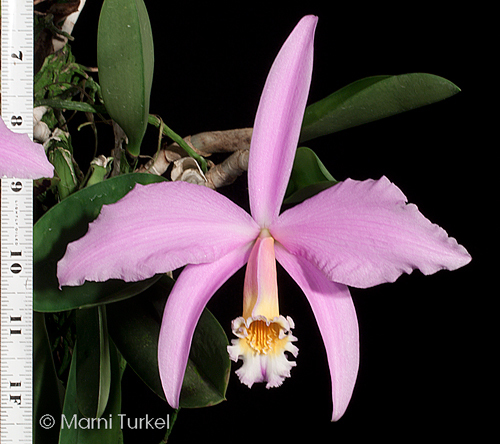 Laelia jongheana #92490 outcross ('Elena' x 'Jutta') (approximately 25 seedlings per flask). This is a remake of across I did beforewhen I only had a very limited number of seedlings. These seedlings have been treated to alter the chromosome count. This does not guarantee that they will be 4N. For more information go to Ploidy. 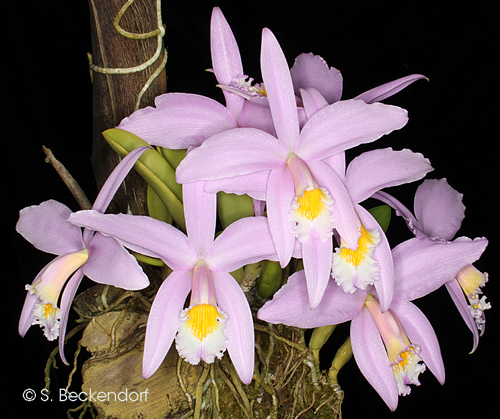 The Species: A compact species from from Minas Gerais, Brazil where it is found between 4600 and 5300 ft elevations. A mature specimen sized plant will have growth in the 6 to 9" tall range with very short rhizomes. 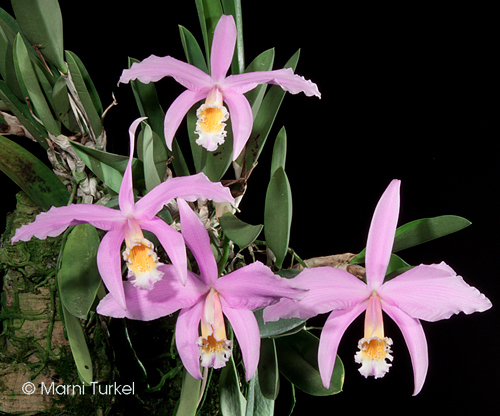 The flowers can be up to 6 inches wide. Culture: It is an intermediate to cool-intermediate grower that likes to dry just a bit between waterings. In the winter, the period the roots are dry can be a bit longer. I am currently fertilizing at every watering at the rate of 1/4 teaspoon per gallon and a bit lower strength in winter. It can be grown potted or mounted. give it moderately bright to bright light.